Does Anyone Really Need 15 Pairs of Sunglasses? We’re buying backups for our backups. Break out the margaritas, because summertime is *officially* in full swing! Our weekends are about to be jam-packed with road trips with our best friends, lounging on the beach, and flights to exotic locations. Not that we’re complaining! The arrival of our favorite season means we can finally pick up that most essential of accessories—a perfect pair of sunglasses. 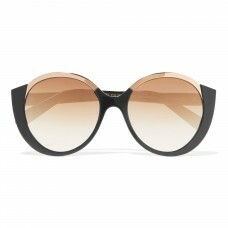 Whether you like a classic cat eye or a vintage aviator, our sunnies-obsessed editors know exactly where to find them. Of course, the constant riding around in a top-down convertible means that you’re bound to lose a pair or two, so take our advice and stock up on multiples in every shape and color. 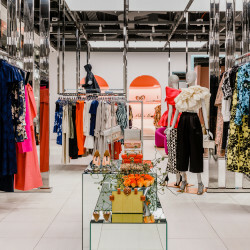 We can think of no better way to cap off your cutest summer outfits! 1. 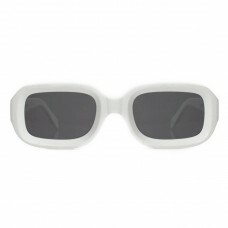 Adam Selman x Les Specs Sunglasses: The length that I have had this tab open on my computer for is laughable. 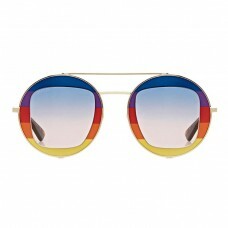 Don’t ask me why, but I need these sunglasses in my life (no, it’s not because they’re Gigi Hadid-approved). I think it’s finally time to bite the bullet and hit the “Add to Cart” button. Sorry not sorry, bank account. 2. 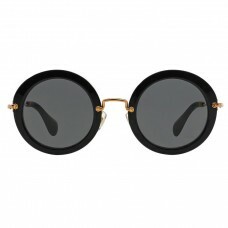 Cutler and Gross Round Frame Sunglasses: About a year ago I realized that round sunglasses look pretty darn good on my face (I used to despise the shape), and now I’m all for them. This two-tone pair are exactly what are missing from my collection. 3. 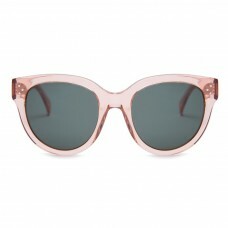 Oliver Peoples Emmy D-Frame Sunglasses: I’ll let you guys in on a little secret: Peach or pale pink sunglasses look amazing on everyone. I kid you not. 1. 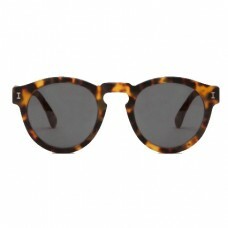 Illesteva Tortoise Leonard Sunglasses: Tortoiseshell is my all-time favorite pattern for sunglasses, and the rounded shape is so classic that they’ll go with absolutely everything. I can already picture myself sipping an ice-cold martini on a sailboat somewhere. 2. 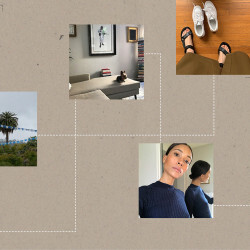 Céline Acetate Cat Eye Sunglasses: I’ve had my eye on this Celine pair for years now, and I think it’s time to finally invest. I love that they’re oversized, so I can feel like I’m much too important or busy to talk to anyone. Plus, PINK. 3. 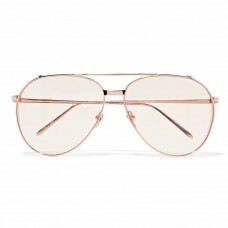 Linda Farrow Aviator Gold Plated Sunglasses: Okay, sure, I might end up looking like an old man in these, but that’s already a general style goal of mine to start with, and they are plated in GOLD. Correction, rose gold-plated titanium. Can’t get any cooler than that! 1. Tom Ford Arabella Cat Eye Sunglasses: Lately I’ve been on a mission to cover myself in as much heavy gold jewelry as possible (I’m making major strides...RIP bank account), so I feel more like I need to keep the rest of my look a bit more pared back. I’m trying to resist the rhinestone-encrusted, bright shades I’ve favored in years past for things that are a little more...muted. These do the trick nicely. 2. Illesteva Vinyl Sunglasses: For days when I’m feeling extra. 3. 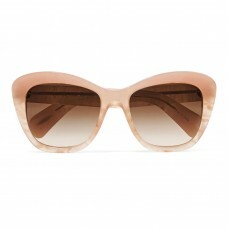 Miu Miu Sunglasses: These are hall-of-fame favorites. I’ll never quit you! 1. Le Specs Flex Sunglasses: The 2017 interpretation of The Matrix style is probably my favorite ’90s comeback to date. These are total Keanu vibes. 2. Jacques Marie Mage x Kate Bosworth Fascination Street Sunglasses: Okay, so these are the polar opposites of Le Specs—they’re ultra-feminine, shiny, and pink! 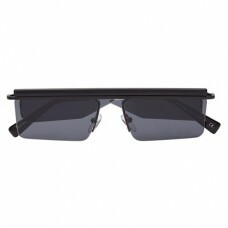 But for me, sunglasses are where I get to have fun since I keep my clothing to pretty much a uniform of jeans and tees. 3. 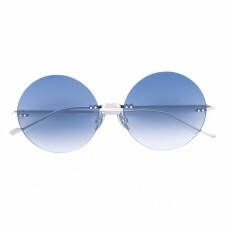 Courrèges Frameless Sunglasses: Do you remember the ombre frames with tiny rhinestone hearts on the corner of the lens everyone wore in grade eight (that’s early 2000s if you’re my gen)? Well, I do! These are the grown-up version. 1. 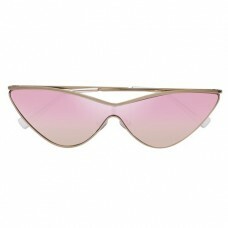 Gucci: Despite not literally being rose-colored, I can’t think of a pair that would make me feel more like I was wearing rose-colored glasses. 2. 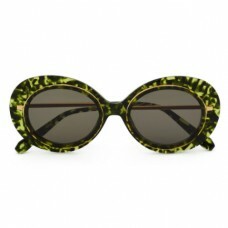 Krewe: This green tortoiseshell and old-lady glamour makes for a dramatic statement that will also go with just about anything I might be wearing. 3. 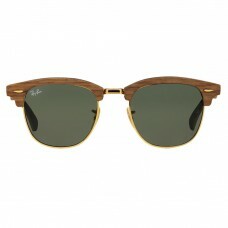 Ray-Ban: Listen, I have a monster-sized noggin...so the truth is I’m shopping in the men’s side of the store more than the women’s. 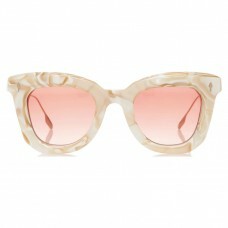 I can fantasize all I want about my chic new sunnies, but these are the more likely pair to end up in my bag.